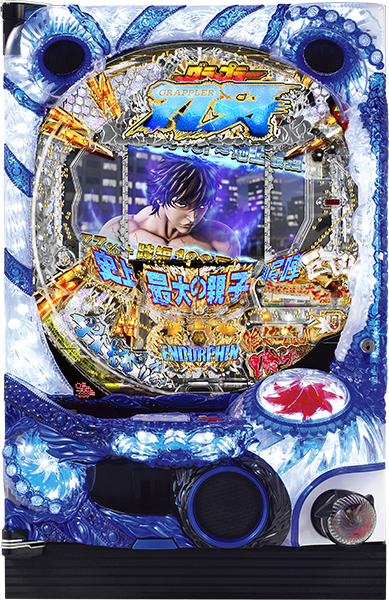 “Baki the Grappler”, a highly popular martial arts manga that we previously introduced its pachislot machine, has finally been made into pachinko machine!! One of the highlights of this pachinko machine is its intense 3D image with the theme of “reproduce the intensity of an original manga”!! The battles between Baki Hanma and his rivals, which have been reproduced just like in the manga, gives us realistic sensation that could be more than its original work!! Especially the battle between Baki and his biggest rival, his father “Yujiro Hanma”, is a must watch for all the fans!! It is expected to make its debut next month!! Let’s watch the mortal combat of Baki at the parlor! !